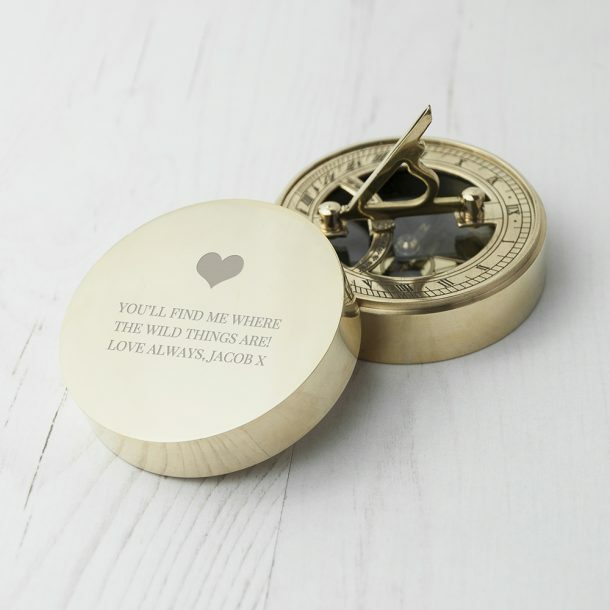 Our Personalised Sundial Compass With Exclusive Love Heart is absolutely amazing, and will make an exceptional gift on any occasion. 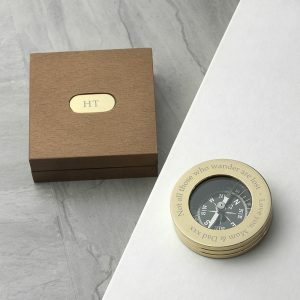 A special brass compass with a unique sundial feature, and a fully operational nautical compass all presented in a protective pouch. 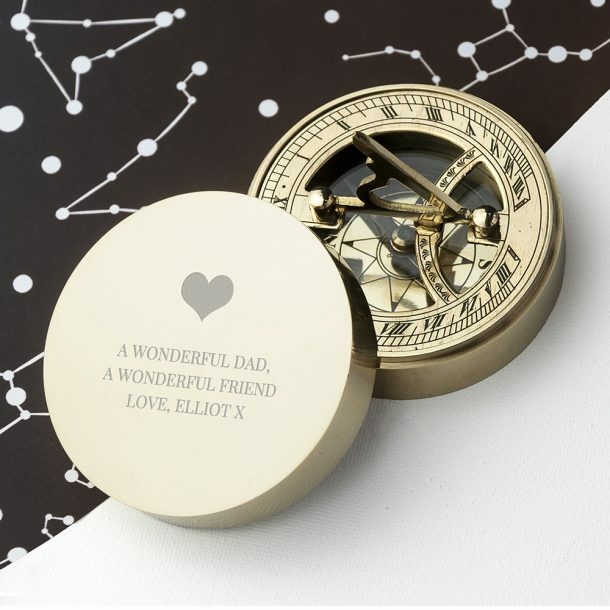 The lid on the compass is expertly engraved with your own meaningful message over 5 lines, along with our signature love heart emoji. Please note – the love heart is included as standard, creating a unique gift with a touch of love. 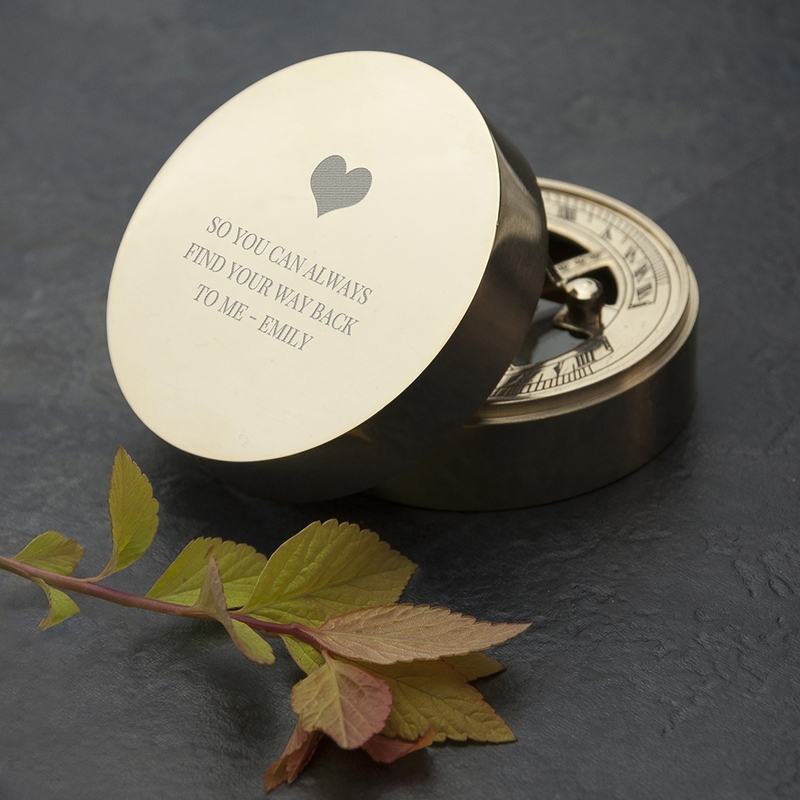 Our favourite message at love my gifts is the romantic words ”So you will always find your way back home to me” Perfect don’t you agree! A delightful gift for any occasion for a loved one or friend. 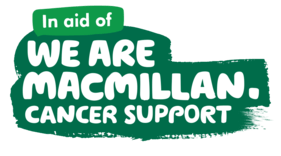 A perfect gift for anyone who is about to go travelling or to tell them you’d be lost without them! 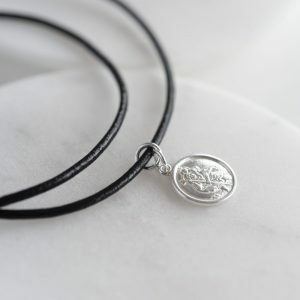 A romantic Valentines gift, a Graduation present, or a gift to celebrate a milestone Wedding Anniversary, It’s classy, unique and a really thoughtful gift, and one they won’t already have. 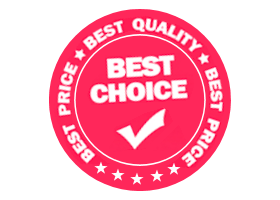 This is the original and authentic compass, please don’t be fooled by cheaper imitations sold on other cheaper selling sites. 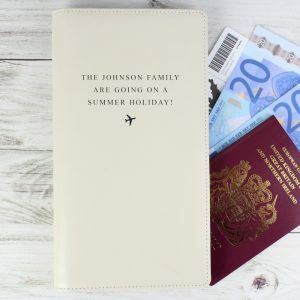 A personalised gift that will make a memorable keepsake for all. Please note, the sundials are made from highly polished brushed brass. This means that sundials can appear ‘scratched’ this is not the case, the brushed effect adds to the charm of the item and is not a flaw.